Six days. That's all it took for the harsh reality of summer to take hold. All the plucky optimism (that hope-y, change-y stuff) I was feeling as school closed it's doors for the year is gone. Two particularly hot, sticky days full of bickering children, no routine, one wild 2-year-old we affectionately call "Animal" and a massively messy house--that's what did it. Here's Animal, I mean baby Wade playing dress up with his siblings in a calmer moment. 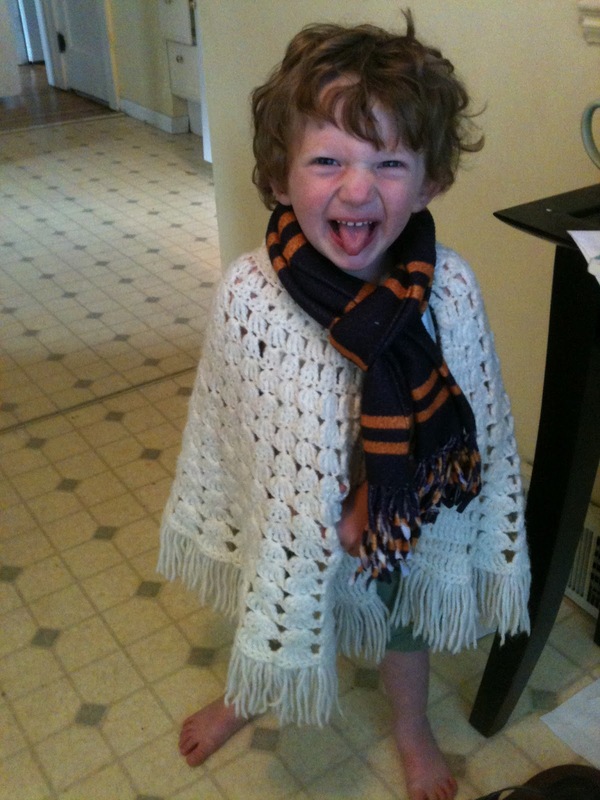 Do you love the Harry Potter scarf paired with a shall I had when I was a kid? "Well, great. Summer's ruined and I am a horrible mother who can't handle anything." That was my first thought. And yeah, I cried a little. And yelled a little (a lot). But then I moved on. I took a few minutes and few deep breaths and realized a couple bad days doesn't equal a ruined summer. It will be okay. During my regrouping moment I pulled out a book that I read every summer. It's a good book. Especially for busy mothers who find themselves feeling overwhelmed, over committed, overstressed and sometimes just over it altogether. No, it's not a reality star memoir. 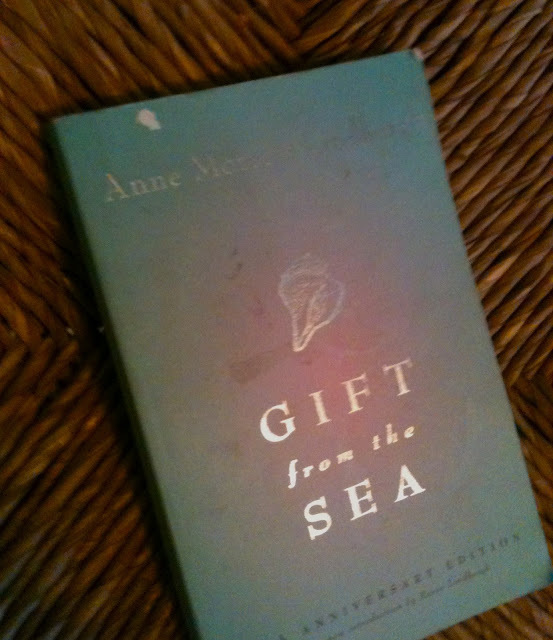 It's "Gift from the Sea" by Anne Morrow Lindbergh, a book your mother or grandmother might have read. Here's the thing, they probably related way back in 1955 and you will relate today too. I was first introduced to the book at a moms' group years ago. A woman told the story about how a copy of the book was kept at her family's lake house, where she read it every summer by the water. Just like her mother and aunts had read it years earlier. 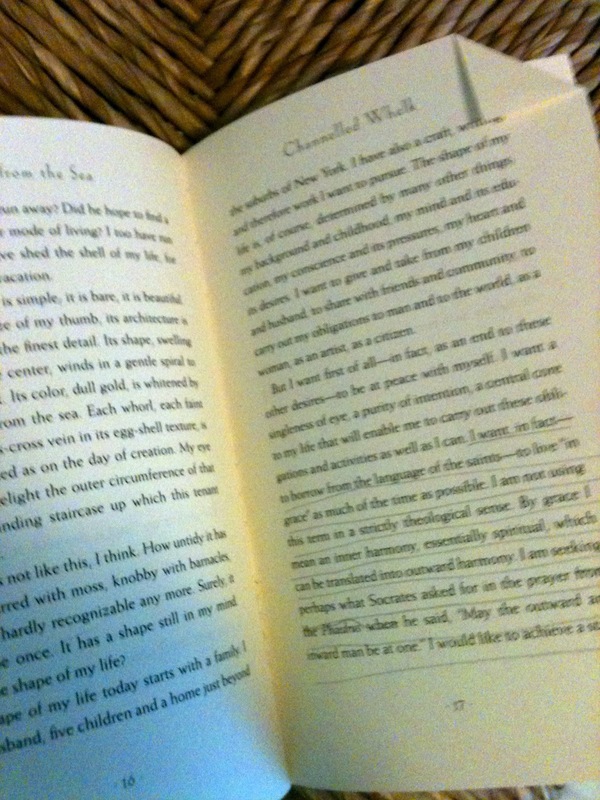 My copy is very worn in a loved way--pages folded down for quick reference and favorite quotes underlined. The shape of my life today starts with a family. I have a husband, five children and a home just beyond the suburbs of New York. I have also a craft, writing, and therefore work I want to pursue. The shape of my life is, of course, determined by many things, my background and childhood, my mind and its education, my conscience and its pressures, my heart and its desires. I want to give and take from my children and husband, to share with friends and community, to carry out my obligations to man and to the world, as a woman, as an artist, as a citizen. I want, in fact to borrow from the language of the saints--to live "in grace" as much of the time as possible. I am not using this term in a strictly theological sense. By grace I mean an inner harmony...Vague as this definition may be, I believe most people are aware of periods in their lives when they seem to be "in grace" and other periods when they feel "out of grace," even though they may use different words to describe these states. My summer meltdowns and distractedness will happen once or twice or maybe 120 more times over the next few months. Only because feeling calm in a house with four kids and my high expectations is nearly impossible. But there are of course those "in grace" moments and those are the ones I strive for not just this summer, but always. Another way I find my way back to being "in grace" and keep on moving on? Music! Keeping the post old school, here's one of my favorite songs. Ever.